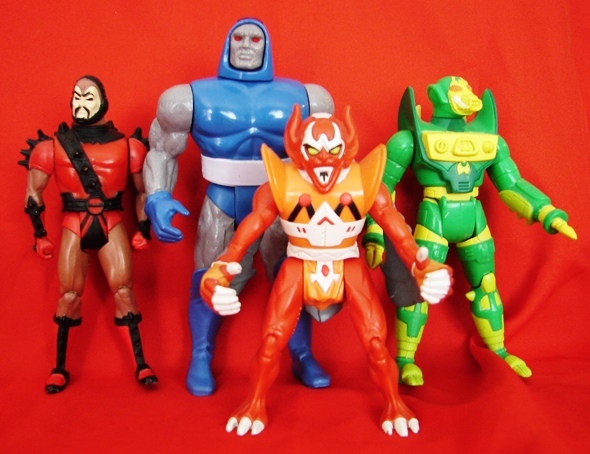 My wife is far more fond of garage sales than the Flea Market, so yesterday I didn't go to my usual Saturday morning haunt and instead went with the Mrs on the garage sale route. I like garage sales too, don't get me wrong, it's just the constant attempt at parking, getting in and out of the car (and getting my intern in and out of the car), following weeks old signe etc etc that wears on me. Thankfully the morning wasn't a complete loss as I found a young Obi-Wan Kenobi minifgure as well as a couple Star Wars prequel/expanded universe troopers for a buck each! 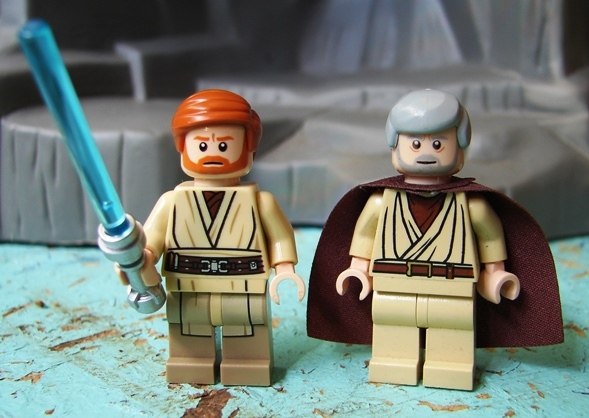 Now I have a young Obi-Wan to go along with my LEGO old Ben, which I found (lacking hair) a few weeks back at the flea market. 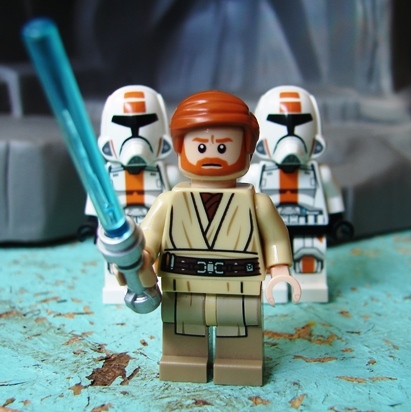 Has LEGO made a spirit of Obi-Wan yet? If not, why the hell not?!?! 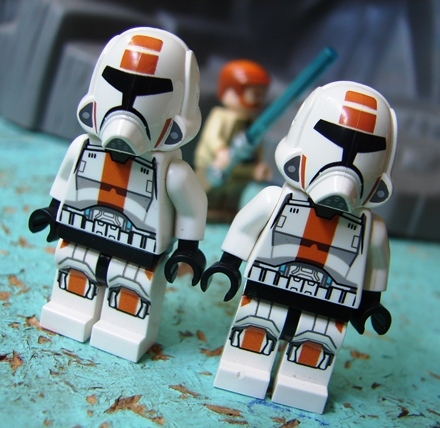 No force ghosts, since polycabonate plastic (used for translucent parts) tends to cling too tightly to itself, which would make it nearly impossible to play with a minifigure made of it. Be less shameless and give the good readers a link! Might have pick up a old Star Wars Obi from my youth sometime...always liked that character from the original movie.